The 10 Best Places for Milkshakes in Louisiana! 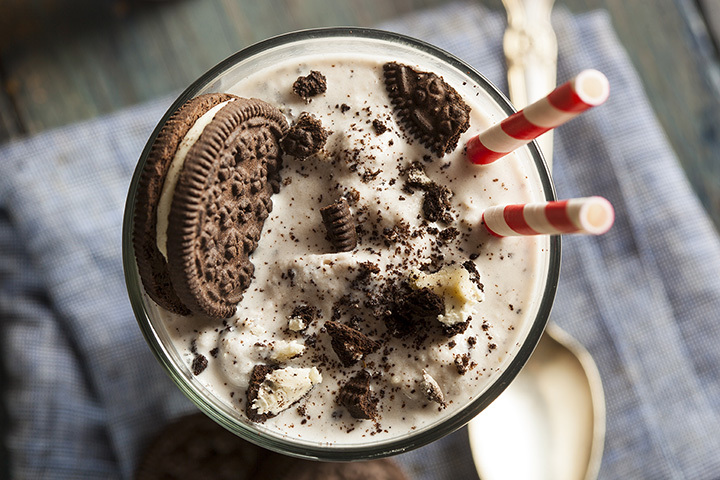 Milkshakes are as American as apple pie. These thick and creamy classic ice cream concoctions go great with burgers and hot dogs, fries and onion rings, fried chicken or just about anything else. At the great milkshake spots in Louisiana, you’ll find traditional flavors and flavors you could dream about. Here are our favorites in the state. Home of the large yellow and red chicken, the Spicy Cajun Café in Maurice, Louisiana, is more than just a place to get great friend chicken. Open every day and ready to serve up some of the best Cajun cooking, this uniquely-styled eatery is part of a gas station/convenience store, but features long freestanding tables inside where you can try popular favorites like the Booyah Beignets and VooDoo Burgers. Enjoy one of the thick creamy milkshakes and a side of onion rings for a complete taste treat! Fat Cow Burgers and Salads in Baton Rouge enters a new dimension of food awesomeness with mind boggling milkshakes in flavors like praline and bananas foster, two of the most popular favorites. Besides having some of the best food in the area, Fat Cow has a commitment to quality that’s definitely reflected in the food they serve every day of the week. You can order online, too. Don’t let the fact that the only shake flavors found here are traditional chocolate, vanilla, and strawberry fool you into thinking there’s no variety at this little eatery located in the French Quarter of New Orleans. Stanley represents more than just good food. It represents the heart and soul of Louisiana, and the determination to keep on going no matter what life and Mother Nature throws at you. Known for breakfast served all day, every day from 7 a.m. to 7 p.m., Stanley is about as classic as you can get, and worth the trip. You can get your milkshake freak on Monday through Friday at the Freakshake Café in Metairie, Louisiana. And you’re really into milkshakes, you can enter the Freakshake Challenge, where you have 20 minutes to finish a 2.5-gallon milkshake. Entry fee is $50, but you get that back plus bragging rights. Do you love cupcakes? Got a fondness for milkshakes, too? Then you have to stop by Little Cakes with Big Attitude where you can get the best of both. This amazing little shop has a cupcake shake where you pick your favorite cupcake that’s added to three scoops of ice cream for a yummy frozen ice cream treat that will satisfy any sweet tooth. How about a banana caramel milkshake or Blueberry Wedding Cake Shake? The possibilities are only as endless as the cupcakes available Monday through Saturday. If you’re craving true American food, Fatboy and Skinny’s in Leesville is the place to go. With traditional foods like burgers and fries, onion rings, and milkshakes, this family-friendly restaurant will not disappoint. With a desire to serve great-tasting food that isn’t part of the fast-food chain variety, Fatboy and Skinny’s pride themselves on being the best tavern and burger joint in the area. Open every day but Sunday, you’ll find the food good, the service friendly, and the prices reasonable. What do you get when you combine Lucky Charms cereal, Jameson Irish whiskey caramel, marshmallows, and a green cherry on top? An Irish Breakfast milkshake, of course! This is just one example of the creative flavors made possible at Creole Creamery in New Orleans. There are always the traditional favorites, vanilla, chocolate, and strawberry, but with an ever changing menu of milkshake flavors, you’ll never know what to expect. And even if milkshakes aren’t your thing, there are malts and floats, sundaes, and banana splits to choose any day of the week. Hub City Diner is a retro-style eatery with all the charm of the 1950s, including black and white tiles on the floor and red, white, and blue leather booths. Serving breakfast, lunch, and dinner seven days a week, Hub City Diner has onion rings, sweet potato fries, fried dill pickles, mushrooms, and jalapenos plus a nice menu featuring catfish, red beans and rice, grilled chicken, and shrimp. On the burger side, you can have a spicy garden burger if you want something plant-based, or dig into a half-pound mushroom and Swiss burger. Whatever your choice, they have sweet tea and great milkshakes. Can you imagine enjoying the a Kitchen Sink or Worms & Dirt? You can if you stop by Grub Burger Bar in Shreveport, Louisiana, any day of the week and order one of their famously popular milkshakes. Established in 2012, this unique take on good food starts with the belief that eating should be fun. The traditional handmade and specialty crafted shakes like the ones aforementioned can be part of your next meal also featuring amazing burgers like the Lockhart Legend, their most popular. Whatever you choose, you’ll leave with a full belly and a big smile. What’s creamy and thick and has a cherry on top? A Sunday Funday milkshake from Dat Dog in New Orleans. With the notion that food can be prepared and evoke happy thoughts, Dat Dog strives to make delicious food at reasonable prices, including vegetarian and vegan options. With a blend of international sophistication and Deep South soul, they have over 30 different toppings to add to your bun. And there’s nothing better than a thick creamy milkshake to wash down your selection like the Duck Sausage Dog, a smoked wiener with creole seasoning, a Guinness Stout-infused brat dog, or the lightly smoked and spicy Alligator Sausage dog.